By joining our sailing club you get to contribute to the Trust but there is something in it for you too! If you are are keen to learn some new skills, meet some new people and get out sailing more then joining the NZST Sailing Club may be just for you. We have special activities throughout the year such as family weekends, fun events, the Coastal Classic Regatta and more. Club members are offered places on our yachts before the general public are approached. It is a great way to meet new people and get out of the city and onto the sea. It's fantastic way to get involved in our Sailing Trust - you will receive regular news updates, invites to events and parties and know that your participation is helping New Zealand's young people. All Club Members get a Club Burgee, and official NZ Sailing Trust gear. 1 official NZ Sailing Trust T-Shirt on joining. Support the restoration of Lion New Zealand. We are seeking 300 businesses or individuals who would like to be part of the Lion New Zealand 300Club that sees Lion NZ back into the water early this year. 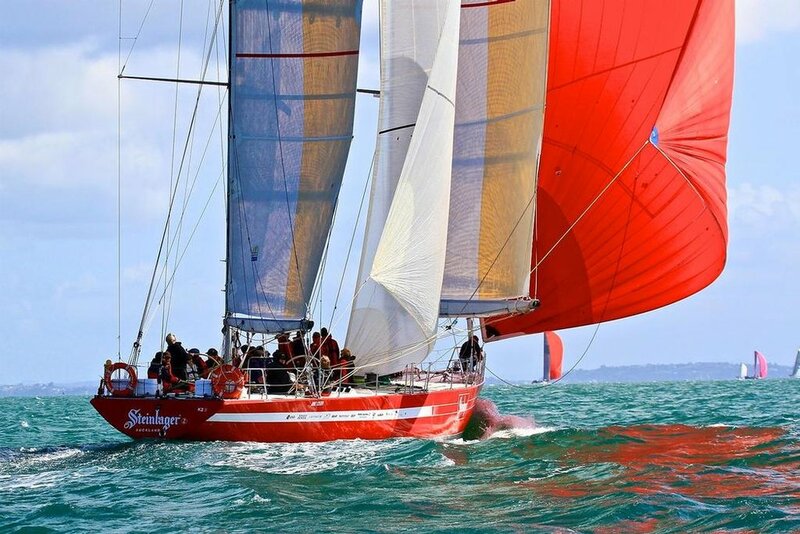 For a $1,000 donation you will receive a limited edition T-Shirt, voucher to sail on Lion New Zealand and an exclusive invite to her re-launch party. To date the Trust has raised $800,000 toward this project but desperately needs $277,000 to complete her and return her to the water to deliver our Youth Programmes. With both Lion NZ and Steinlager 2 operating we will have capacity to deliver programmes to 2,000 young kiwis each year. See the short video on the home page which captures some of the restoration, what our participants experience and a little dose of nostalgia thrown in. Help us continue to deliver these life changing and eye opening experience for more young New Zealanders and join the exclusive Lion New Zealand 300Club today!